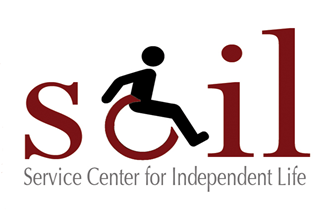 SCIL seeks to empower all persons with any disability, in their quest for greater personal independence, and to advocate for a barrier-free society. Service Center for Independent Life (SCIL) works with persons with disabilities of all ages. Since 1980 SCIL’s sphere of influence encompasses 22 cities in South East Los Angeles County, and the East San Gabriel and Pomona Valleys. Services include but are not limited to: self-advocacy training, assistive technology, housing information, independent living skills training, peer counseling, benefits planning and information & referral services. All services are provided at no cost to SCIL consumers. No other resource offers the same array of services and cross disability expertise provided by SCIL. The goal of SCIL is simply to encourage and support people to make good choices and exercise control over their own lives and provide expanded access to information and resources to assist them in increasing their independence. SCIL will work with anyone who comes to us regardless of disability, race, gender, life style, or religious persuasion. At present, 100% of our staff and 65% of our Board of Directors are people with disabilities, giving us a unique insight into what our consumers face each day permitting us to more effectively serve our consumers.